Hog Roast Dungannon- Hire a Machine for Your Event! 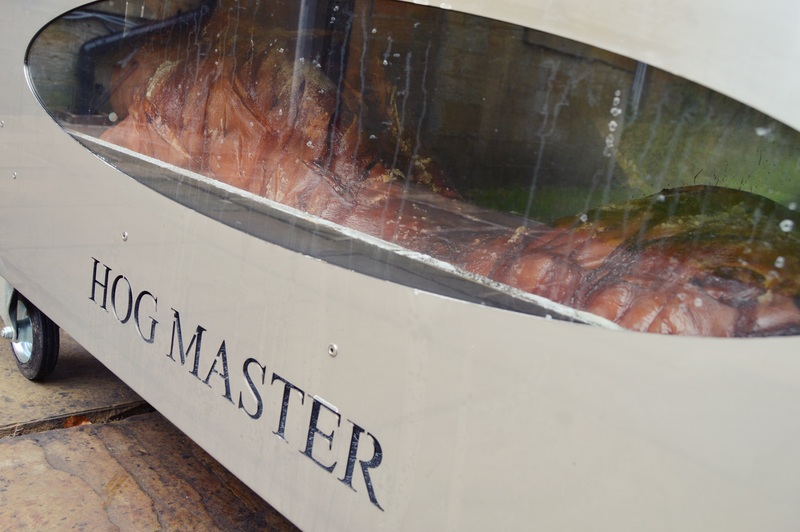 As professional caterers in the world of hog roasting, it’s safe to say Hog Roast Dungannon know a thing or two about what makes the perfect roast. Of course, the quality and cut of the meat go a long way, and this is why we always maintain strong relationships with our suppliers and always source our ingredients locally where possible. Secondly, is the skilled chefs and waiting teams that work hard at every event they attend to serve up only the most delicious of foods. Finally, a huge part of our success at Hog Roast Dungannon is owed to our trusty machines. These purpose designed and built machines are manufactured by our own team of engineers from our factory in the north west and so we always have the perfect machine for the job! In addition to catering across the country Hog Roast Dungannon also hires out and sells our machines to the public. We often find we get a lot of interest at events for people wanting to try out cooking on the machines as they find it difficult to believe us when we say anyone is capable of preparing a fantastic Hog Roast Dungannon meal. Just last week, we had an enquiry from Oliver who was looking to hire out one of our machines for a family party he had coming up. Oliver told our friendly office team that he would usually not think twice about hiring a caterer to come and take care of all the food as he has a large family and usually struggles to cater for them all. However, after seeing our Hog Roast Dungannon team at an event he attended and hearing that we hire our machines out, he just knew he had to give it a go!